PRESS - high resolution images are available upon request, including stills, poster and behind the scenes images. Please use the contact form here to request a press kit. 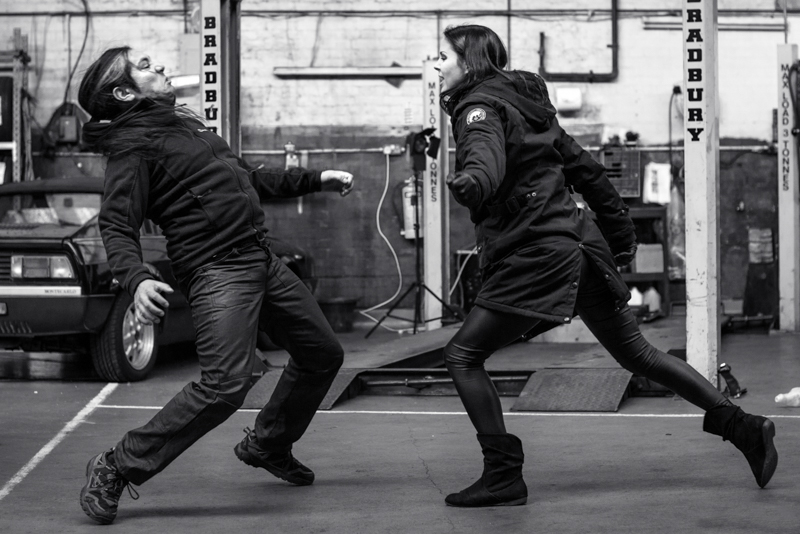 Hollywood stunt person Roy Scammell discusses the Seize the Night's fight sequences with Director Emma Dark on location. 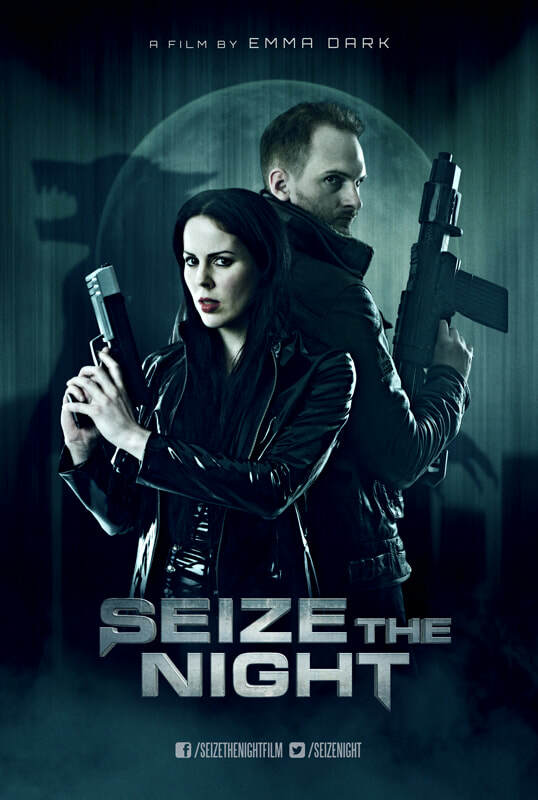 Star/Director Emma Dark rehearses with actor Merlyn Roberts on location for "Seize the Night".